- Montcalm Street in the historic downtown shopping district. 1.00 mile(s) from Montcalm Street in the historic downtown shopping district. 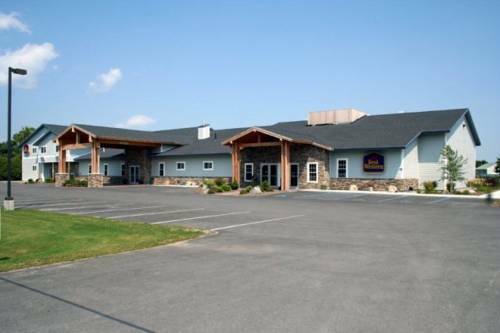 45.00 mile(s) from Queensbury, NY, large shopping mall with popular anchor stores. 35.00 mile(s) from Middlebury, Vermont, many quaint shops in the historic downtown shopping district. 40.00 mile(s) from Lake George, NY, extensive well known designer outlet shopping at Lake George Commons Outlet Shops. - Vermont Teddy Bear Co.
30.00 mile(s) from Vermont Teddy Bear Co.
2.00 mile(s) from John Hancock House, Ticonderoga Historical Society - At Moses Circle. 2.00 mile(s) from Fort Ticonderoga, the "Gibraltar of the North." The secrets of New England's gooey gold -- revealed in mind-numbing detail! A small block of granite honors the big monster who lurks in Lake Champlain. Winged monkeys have been a decorative part of the Burlington skyline for decades. Look at the roof above the "Burlington" lettering.